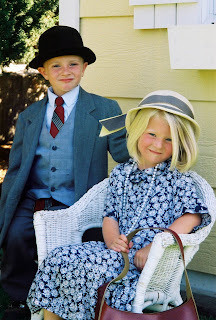 I am—not so secretly—a vintage girl at heart. I love to look back at history through rose-colored glasses that give it a velvety patina of nostalgia. Things seemed simpler and more decent. That’s an illusion of course—as anything viewed through rose-colored glasses will be. My grandmother and grandfather would have pointed out that their survival in the 1930’s and 40’s was anything but simple. 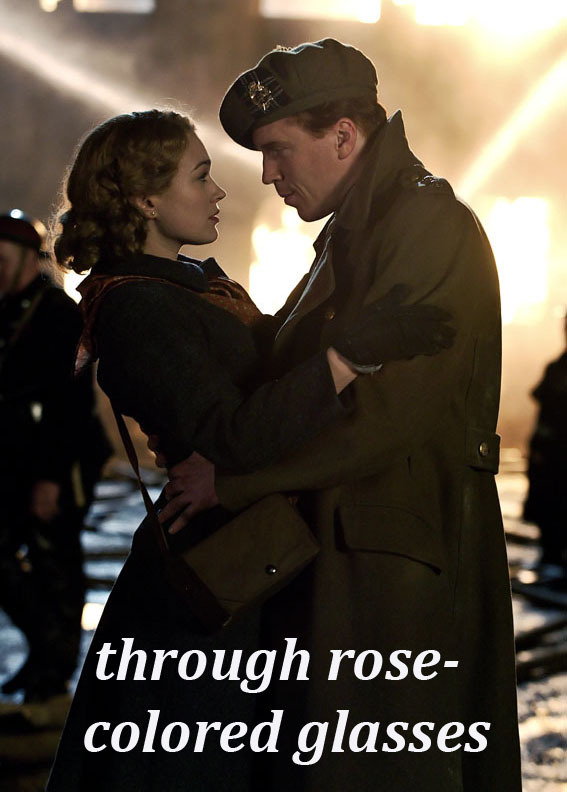 I’ve been doing some reading, lately, about the plight of the British citizens during World War II. I’m embarrassed not to have known about the incredible deprivation and starvation these islanders faced. And I’m amazed at their resiliency and determination. There’s a single phrase that has been popping up in design and décor a lot lately. 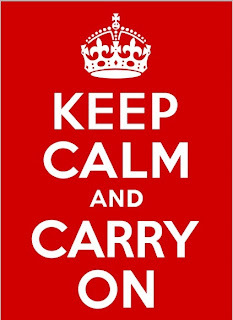 “Keep Calm and Carry On.” You can find it on wall hangings, pillows, postcards, and even tissues. The phrase was initiated by the British Ministry of Information in 1939. Distinctive red posters were printed with the slogan in white block letters. 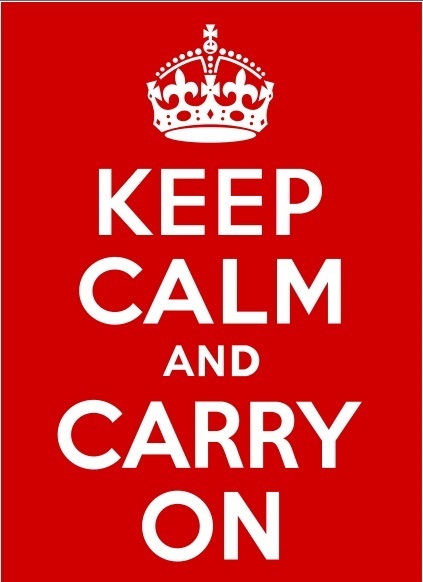 They were meant for distribution across the British Isles to boost the morale of citizens during World War II. However, very few were actually distributed. 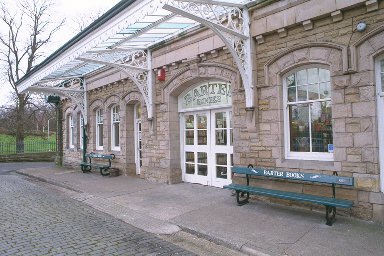 In 2000, one of the original posters was found at Barter Books, a second-hand bookstore in Northumberland. The phrase has taken on new meaning in current world-wide recession, and the slogan is getting much more attention that it ever did originally. Even though I know that earlier eras were also filled with the worry and strife of life, it inspires me to know that people who endured hardships greater than mine did more than just survive; they thrived. And that means I can too. Here’s the great news! Now you can see Meaghan Smith live—on a rooftop. And as the extra scoop of ice cream on top of the Sundae, appearing with Meaghan is another favorite of mine, Mindy Gledhill! 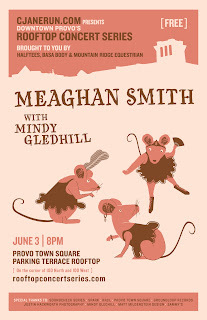 Meaghan and Mindy will be appearing as part of Provo’s Free Rooftop Concert Series. When: Friday, June 3, 2011 8:00 p.m. The concert is free. Attendees are encouraged to bring blankets or chairs to sit on. You can arrive as early as 6:00 and visit the food and craft vendors in the marketplace direction below the venue (in the Provo Town Square Courtyard). 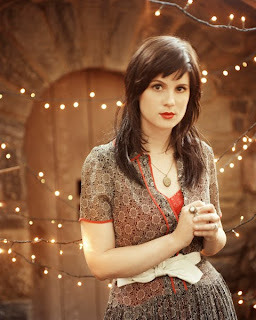 Meaghan recorded a special tune just for Provoans which you can listen to here. I remember being a college student at BYU and living near the south end of campus. There was a bagel/sandwich place near the old location of El Azetca (you old Provoans know what I’m talking about) that featured local bands on weekends. 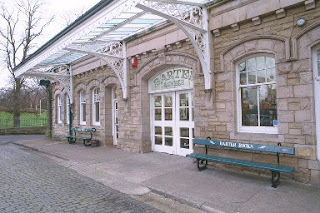 I remember going there Friday afternoon for a sandwich before my evening shift waiting tables. I saw Swim Herschel Swim. I went there on a first date with a guy who would be my boyfriend for a semester. We saw an amazing female singer who was trying to raise money for her mission. 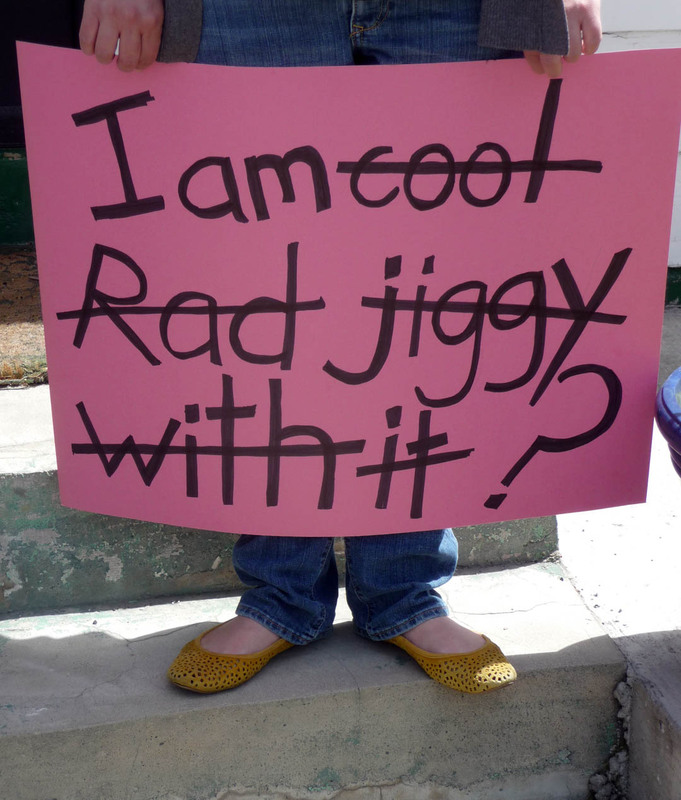 I was young, I was hip, I was broke…it was all part of being in the Provo alternative music scene. I didn’t know where Velour was, but I vaguely remembered there being a club somewhere on Center Street. Well, it isn’t there. It’s on University Avenue. Nothing a little call to 411 and more couldn’t resolve. Velour was small, hip, and non-alcoholic, much like me. I spotted my friends fairly easily and slid into a seat next to them. When had the bands gotten so young, I wondered. Did they let high school kids in here? The woman seated on the other side of me turned slightly, and we had one of those “don’t I know you?” moments. Sure enough, she and her husband and I had been in a singles ward together. She couldn’t have been more than 4 or 5 years older than I, if that. “That’s my son,” she said proudly, pointing to the bassist on stage. I am old enough to have given birth to the musicians on stage! Or at least one of them. I suddenly felt dirty for having noticed how cute the drummer was. But the evening wasn’t ruined for me. Far from it. While I was no longer the young thing swaying on the dance floor, I felt that my 20-odd years gave me the privilege of anonymity. I sat back and people watched. And I enjoyed myself. And when my younger, hipper friends took off before I did, those extra 20 years had given me the self-assurance to stay seated, listen to the next set, and enjoy being a part of the scene. So music lovers! If you’ve managed to stay with me thus far, I give you the act you all came to see: The 2011 Season of Downtown Provo’s Free Rooftop Concert Series! The season kicks of this Friday, May 6th at 8:00 p.m. with Fictionist and Paul Jacobsen and The Madison Arm. Concerts take place on the roof of the Provo Town Square parking terrace. Admission is free. 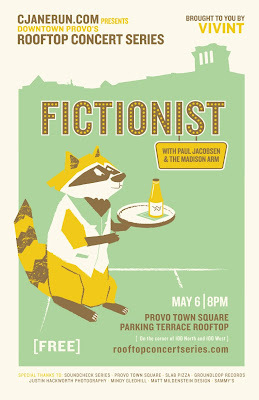 Fictionist is one of eight bands nationally competing to be the first unsigned band featured on the cover of Rolling Stone magazine. Paul Jacobsen and The Madison Arm has been featured at the Telluride Bluegrass Troubadour and Folks Fest among others. The concert is being brought to you by CJaneRun.com and Vivint. I’ll be there. I hope you will be too. You can read more about the event here. Or visit their Facebook page here.